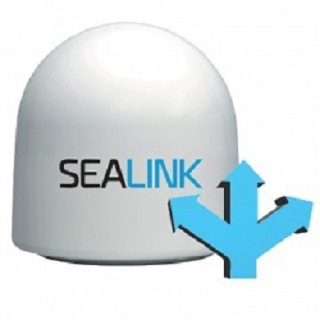 Maritime satcom specialist Marlink has launched two new High Speed Zones that enable Internet connectivity up to 20Mbps on standard equipment in specially dedicated areas in the Mediterranean and the Caribbean without any changes to the customers’ technical setup onboard. The new High Speed Zones are a revolutionary service aimed squarely at yacht owners and charter companies that require the fastest available Internet access on board for temporary periods, and can be enabled within hours of request. Designed for the high-end requirements of the superyacht sector, the new service provides flexibility for upgrades to meet higher bandwidth demand during peak yachting periods. While crew communication and operational needs are met by Marlink’s standard global Sealink VSAT (Very Small Aperture Terminal) services, the ability to massively increase connectivity speeds for a period of a week or more ensures the work and entertainment needs for bandwidth hungry applications are available on board in a similar way as on shore. With such high throughput, Marlink’s new High Speed Zones enable a wide range of new applications, including the use of streaming services such as Netflix and fast Internet connectivity available for all guests on board at the same time. In addition to fast-response dynamic bandwidth increases up to 20Mbps with standard equipment on board, Marlink can also deliver over 100Mbps throughput to superyachts using customized configurations in its Mediterranean and Caribbean High Speed Zones. As an end-to-end service, Marlink manages all aspects of a superyacht’s standard Sealink service and speed boosts in the High-Speed Zones either directly, or through its network of dedicated superyacht satellite service providers, including: Satellite capacity, satellite service, above deck equipment, below deck equipment, delivery, value added services (such as Optimization) and support through a 24/7 support desk. Bandwidth increases are delivered over several satellites in each region, ensuring high availability and redundancy, guaranteeing Marlink’s ability to meet High Speed Zone bandwidth requests.